So you’ve finally decided to take that stress relieving road trip to Lorne. You’ve mapped out the route, culminating with an easy cruise along the B100, the Great Ocean Road, to your desired vacation spot in that scenic seaside town in Victoria. Good for you! Now, what to do about games for kids to play in the car? It’s going to be a long trip, and you’ll definitely need some creative distractions for the long trip. Let’s start with travel activities for toddlers in the car. I’ve made a very long distance road trip with a toddler, and the one thing that kept him occupied was a big ‘Blow Pop’ on a stick. It was big enough that he was unable to swallow it whole and the attached stick provided, even more, peace of mind for us parents as we would glance into the rear view mirror or periodically turn and check his progress since it was so successful in keeping him both quiet and satisfied. We dealt with the sugar rush later on stops, but boy did that work while we were underway on the move on the road! Sweet! The Blow Pop technically isn’t a really a choice of car games for long trips, but the point here is to get a toddler to not be fussy in a moving vehicle. No whining, no whimpering, no tantrums, just peace on Earth… well, peace in the car anyway. For the older ones, the games to play in the car for kids gets to be a bit more challenging. The goal is to be successful at keeping them gainfully occupied while allowing the adults to maintain a semblance of sanity in the front seat. 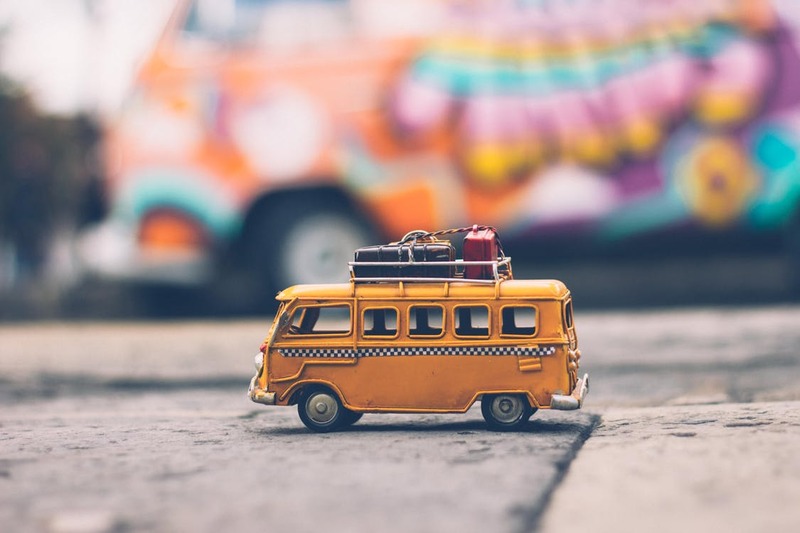 According to Whoopee Wooden Toys, here are some of the best games for kids to play while traveling to keep your little ones occupied. One person selects the left side of the highway, the other the right side. Each participant looks for and identifies each letter of the alphabet in the proper sequence. The point, the object of the game, being to point out each letter of the alphabet from A-Z. The first one to complete the entire alphabet from their side of the road first wins! When it comes to making time go by, this game is the all time classic. One player scans for and chooses something of interest. The other players in the car must then figure out what that thing is as the player who is ‘it’ says – “I spy with my eye _____”. The blank being the object’s color or other descriptive feature. The player who guesses correctly goes next. The trick is to choose an object that will stay in focus for a bit, like a bridge or other landmark in the distance, and not something whizzing by at highway speeds. Make sure the vehicle has good all around visibility for ease of “I Spying”. In the annals of boredom-bashing family road trip games; this one tests individual player creativity. One player begins by starting a sentence that describes a situation, for example, “There I was, flat on my back in the middle of a swarm of angry red ants. Fortunately, there was a famished Aardvark nearby.” Taking it in turns, each person would then contribute a sentence to the tall tale beginning alternately with Fortunately or Unfortunately. In this case, the next player would then continue the story with “Unfortunately…” And so on and so forth. This one is easy to the point of being mindless. For every tunnel encountered, as the car passes through, see how long each participant can hold their breath. It’s most definitely the quietest game. Provide each child with a supply of sweets or coins at the start of the road trip. The purpose here is to quickly quiet down, or nullify completely, the inevitable squabble between siblings in the back of the car while driving on the long trip. If there is a squabble, each sibling gets charged a fine in the form of a sweet or coin, paid to the parent. The object being that they get to keep their loot, or what’s left of it by the end of the trip. The loot doubles if there is no fine at all! There are lots of types of puzzle games for kids to choose from. Though it will cost you to purchase portable ones that suitable for travel, it is a good investment if you buy the good quality ones. Puzzle games for kids are not only able to keep your children occupied. It is helpful to their development in hand-eye coordination, improve problem-solving skills, and increase focus and concentration, altogether. So there you have it. You’ve accomplished your mission of making it to your Apollo Bay vacation spot without using technology, not building a kids doll house, and with your sanity completely intact. Congratulations!